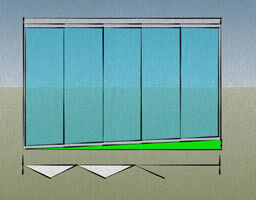 Glass doors, shaped underneath and adapted to the slope of the ground. 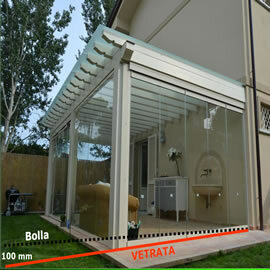 The latest novelty at GM Morando is GM Fit, the all glass “contoured”system exclusively developed to resolve problems related to sloping ground found frequently in outdoor spaces such as terraces and porches. It’s a solution that combines artistic taste and practicality and doesn’t require any bulky fixture that gets in the way, thus creating a streamlined finish. Custom built with glass and oblique bands. No empty spaces between the glass and the floor. Can regain up to 10cm of ground slope. 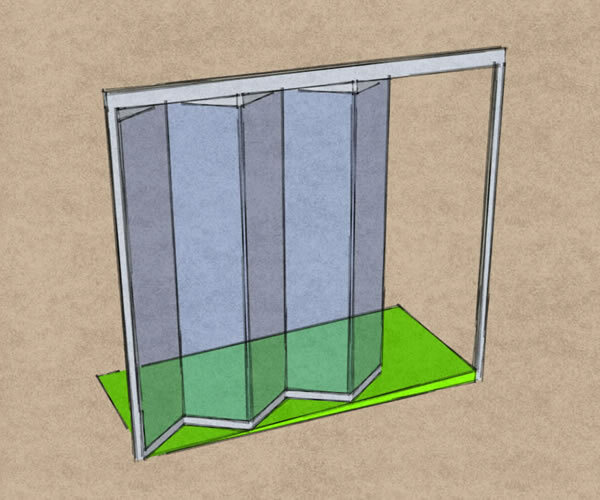 In the rendering you can note how the bottom part of the glass doors follows the slope of the ground. This is thanks to the presence of glass and oblique bands. The lower mouting is secured to the floor with bolts and spring shafts. Also available with a different size entrance door. 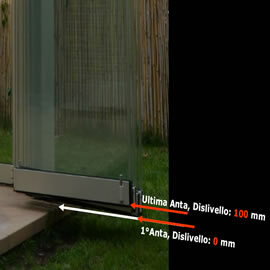 Available without a floor guide rail and in this case up to a maximum of 3 doors or panels. Doors fold up to the mounted side. 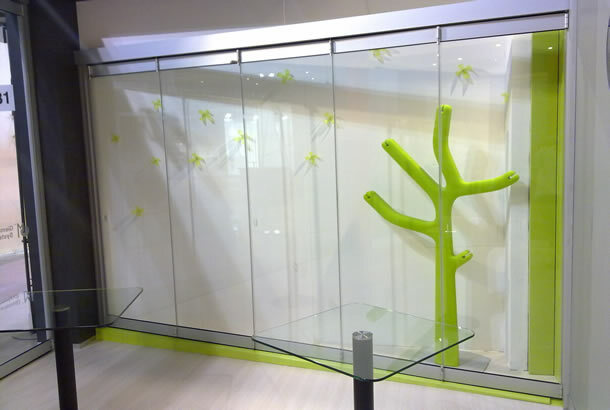 Also available without a floor guide rail up to a maximum of 4 doors or panels. Opens internally or externally.